The Yoga Therapy 8-week course is an evidence-based program developed by the founder of The Minded Institute, Heather Mason. The comprehensive course draws on mind-body practices to support mental health and improve emotional regulation by using a combination of Mindfulness Meditation and ancient yoga techniques. The course has been specifically designed to address physiological and psychological dimensions of depression, stress, and anxiety, empowering you to deeply understand how specific techniques provide immediate and long-term relief. The combination of this mind-body practice will help regulate mood and emotions, improve self-awareness and alter habitual patterns of thought and behaviour in a therapeutic safe environment. Each week the course combines asanas (physical postures), pranayama (breath work) and Mindfulness Meditation. Each session will inform the student how the mind, body and brain work together from a scientific perspective. 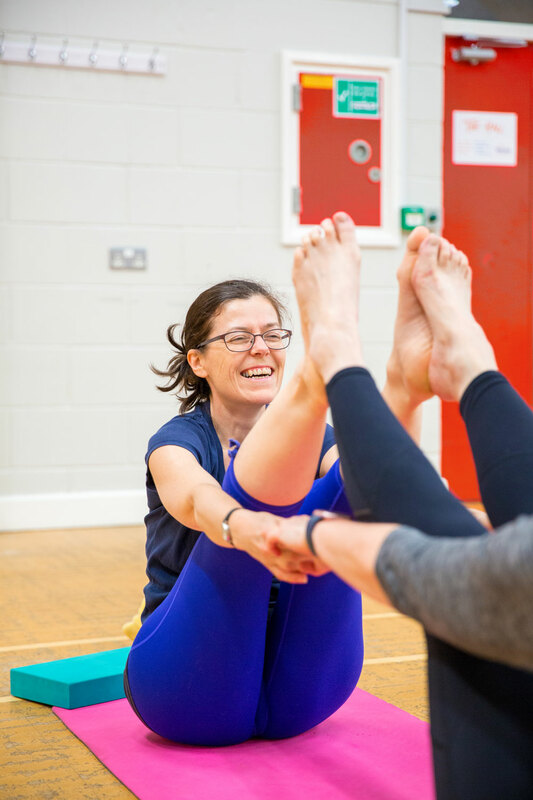 The course will visit new themes each week which will give you strategies that can be used both on and off the mat to enable you to better manage stress and enhance your well-being. During weeks 1-2 we focus on regulating breath as a way to alter the functioning of your nervous system so that you can manage stress with greater ease. From weeks 3 – 5 we concentrate on the relationship between body and mood helping you to understand emotional health through your body. Weeks 6 – 8 we focus specifically on the mind engaging in practices that enable you to view and adapt your mental patterns in new and helpful ways. Each week follows on from the previous weeks of learning. At the end of each session the group is opened up for discussion about your experiences during class and to ask any questions. Homework will be given at the end of each class to practice daily along with reading material to support your learning. Over the course you will become familiar with the practice giving you the skills to apply in daily life. This will support your growth and development for the future and help manage stress with more ease. The studio provides all equipment; however, you will need your own yoga mat at home to help with a home practice. During the course every student receives individual attention so you’ll feel safe and supported throughout. Additionally, there is opportunity to book private sessions via telephone conversation if you would like extra support. Do I need to have previous Yoga and Mindfulness experience? The course is suitable for the complete beginner in yoga and mindfulness. It is also suitable for those who are regular yoga practitioners, or yoga teachers as it is designed to take your practice to a much deeper level due to the integration of weekly themes. The course is designed for anyone wanting to improve their mental, physical and emotional wellbeing, particularly people living with stress, anxiety and depression. The course is not ideal for people living with Post Traumatic Stress Disorder or Chronic Fatigue Syndrome. If you are unsure please get in touch. You will be asked to fill out a registration form to ensure the course is right for you before booking onto the course. I came to this course as a complete yoga novice. I was immediately welcomed and made to feel safe, which was amazing! Although difficult at times…I do have the tools to help me get through day to day life. Kathy’s background qualifications and experience in Occupational Therapy is a vital advantage and she recognises early on if a student is having difficulties with anything and handles with careful skill. I really enjoyed the course and got a lot out of it - more than I even thought! I have experience of yoga and meditation and wondered if there were new things to learn - yes there were - the two combined were a real force for good, a heap of possibilities opened up to me… I have never felt so simultaneously empowered and at peace, than in the understanding of the relationship of my own mind and body, brought to me through practise on this course.